Bradley International Airport are delighted to have been voted 3rd Best Airport in the U.S. by Condé Nast Traveller’s 2018 Readers’ Choice Awards. 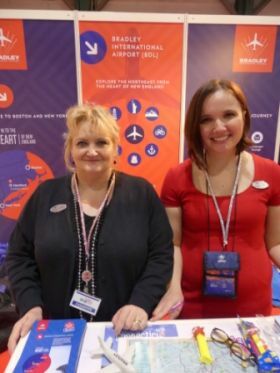 With a commitment to their passengers, the Connecticut Airport Authority has initiated major terminal enhancements at Bradley International Airport over the last couple of years aimed at elevating the travel experience. Recent upgrades include the addition of Two Roads Tap Room, Escape Lounge, a Phillips Seafood restaurant, a duty-free shop, and a mother’s nursing room – and more improvements are underway. “We are thankful that the support of Bradley’s loyal, growing passenger base has again earned us a spot in the list of top ten U.S. airports, and we’re especially pleased with the improved ranking this year,” said Kevin A. Dillon, A.A.E. (Executive Director Connecticut Airport Authority). Commenting on the win, Tony Sheridan (Chair of the Connecticut Airport Authority Board of Directors) said, "We are very honoured to be recognized among some of our nation's best airports. Recognition like this elevates our brand not only regionally, but also nationally and internationally." Fly direct to Bradley International Airport from Dublin with Aer Lingus, who have just committed to continue its transatlantic service at the airport for four more years.